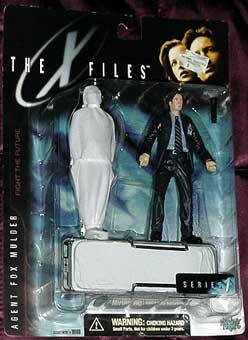 Photos of the Mulder and Scully action figures. Exhibit R1: A video Chris made when he and Randi were in a long-distance relationship that includes action figure play. This includes a character Chris calls "Sunglasses"
Exhibit R2: An "opening ceremonies" video from a yearly tournament Randi and Chris put on with friends, called March Sanity. I have to say, the e-mail presenting the Jedi Haircut docket clearing case is one of the funniest things I've ever heard. A week later, I'm still giggling over the sincere compliment. That video was the worst thing in life. I have so much less sanity after watching that video. 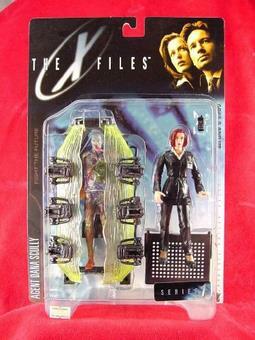 "Our friend that gifted us the figurines." Ugh! Just what is wrong with "Our friend who GAVE us the figurines"???? Randi loses in first moments of "case"
She loses when she says that she was "gifted" a lawn gnome. This is a peeve, and a good one.